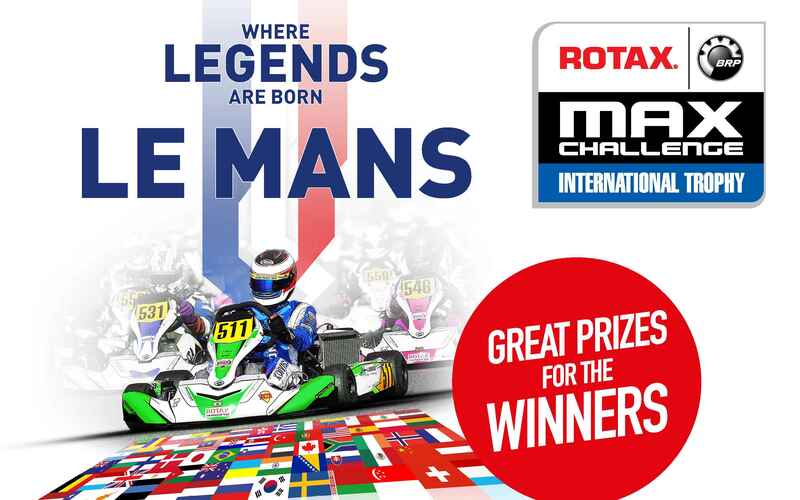 The Rotax MAX Challenge has been enriched by a new event, to be held at one of the most well-known kart racetracks in Europe – Le Mans International Karting Circuit. The RMC International Trophy is a National race with international participation. The winners will be awarded with special prizes – plus 4 RMC Grand Finals Tickets to be won (Junior, Senior, DD2, DD2 Masters). 1St place Micro and Mini will win a BRP vehicle each. 2 BRP Vehicles raffled amongst all participating drivers! 288 tickets are allocated to the Rotax network. We will inform in time if there are additional tickets available.